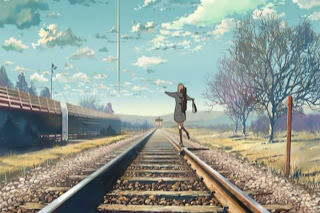 Japanese animator Makoto Shinkai came to prominence with his 24-minute short “Voices of a Distant Star” (2002), famed for being a well-regarded anime made entirely by Shinkai on his household Mac. His follow-up feature “The Place Promised in Our Early Days” (2004) also met with acclaim from the few who saw its Japanese satellite television release. The film failed to get theatrical distribution abroad, but it has been released on DVD. The low-profile distribution and lack of fanfare have made the film an instant victim of neglect, a sad fate for a film that is remarkably unique and beautiful. 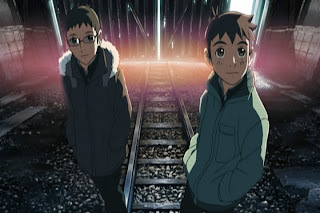 The film tells the stories of Hiroki and Takuya, two young friends in an alternate history Japan divided by the Alliance (US) and Union (presumably the Soviet Union). 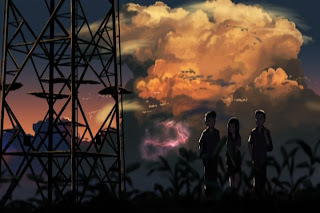 The boys live out their “early days” (8th grade) in the sunny countryside near the border, just across the water from the Union’s enormous Hokkaido Tower. The mysterious building rises so high that it’s top brushes the limits of atmosphere and transcends the camera frame in every shot (until the finale). As the story progresses, we learn that the tower was built by a brilliant scientist (now dead) and pulls in matter from a “branch” universe to replace an expanding radius around it. Hiroki and Takuya are both prodigies and work diligently at constructing a plane during their off hours at a guided missile plant (yes, one that hires junior high students). They dream of one day visiting the tower and even promise to invite Sayuri, their mutual friend/girlfriend. It’s a promise they can’t keep, however, when Sayuri abruptly disappears. Three years later, Takuya is working as a scientist on parallel universe applications while Hiroki is a high school student in Tokyo where he wanders around as a melancholic, unfulfilled husk. 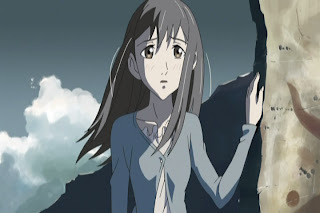 The approaching outbreak of war and the rediscovery of Sayuri trigger a chain of reunions and a plan to visit the tower before it is destroyed forever. 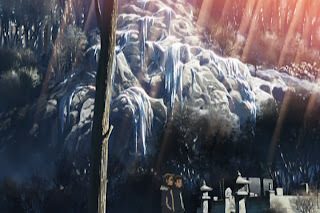 One can’t talk about “The Place Promised in Our Early Days” without first mentioning how gorgeous it looks. 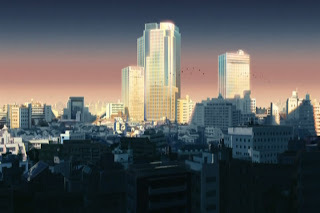 The artistry, while somewhat different in style, easily rivals the best of Miyazaki’s better known films. The images, particularly the relatively realistic landscapes, really capture one’s attention and sustain audience interest. 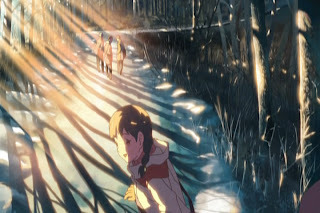 Where many animes rely on fantasy and science fiction to create wonderment, Shinkai focuses first and foremost on the natural beauty of ordinary places often quite familiar to the world we know. 1) Filtered shafts of light. 2) Lens glare (upper left) and lens flare (lower right). 3) Atmospheric effects like haze and cloud glow (note the way the lightning in the second example illuminates the nearby clouds). 4) Saturation (reduced contrast under strong rear lighting). 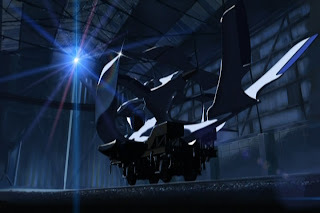 Much of the visuals are simply keen artistic expressions rather than CG modeled demonstrations of an actual physics engine (such as in “Ghost in the Shell 2”). As such, the effects aren’t very dynamic. 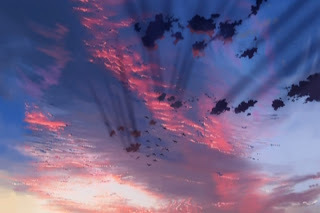 You won’t see many whirling dust motes in the shafts of light or shifting shadows or drifting clouds like you would if the system was really using radiosity (dynamic illumination). So while realism tends to give way to dramatic effect, the upside is that the film comes really close to reality and ends up looking even better courtesy of a little artistic license. The lack of a killer physic engine does mean that some materials like smoke and water don’t look as good as they could. You do get a hint of sparkle on choppy water, though, which is a nice quick fix. I’ll stop talking about the graphics in a second, but I did want to mention that the character design is not nearly on the same level. The characters aren’t off-putting or drawn badly, they just lack much originality and detail. They are a bit too stereotypical (cartoon uniformity of color, big-eyes, etc.) to draw us in through verisimilitude or individuality and so I feel Shinkai misses a chance to make us identify with and remember his characters. This is a shame, considering that despite the visual splendor, this movie is really about personal encounters with growth, hope, friendship and love. It’s misleading because we have all the signs of a sweeping, momentous epic: vast political entities fighting each other on an international scale, a mysterious looming structure, heady metaphysical dalliances with dreams and parallel universes and, of course, a giant explosion. By the time one gets to the finale, one might easily experience it as an anticlimax. 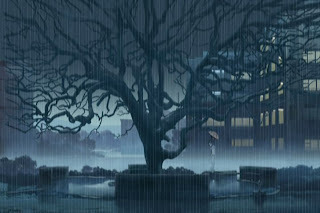 The lack of explanations, a 50-50 mix of pleasant ambiguity (how were the tower and Sayuri connected?) and plot holes (why didn’t the Union get rid of the tower themselves when they realized it was dangerous and out of their control?) disappointed and angered many viewers. However, I’m not of the popular opinion that the film is utterly opaque and too confusing to understand. While I admit that I still have some unanswered questions, I don’t think the outmost layers of meaning are that obscure. The tower served as a target of mystery and wonder for the young characters. Their dream of visiting the tower was barred by the military-guarded border while its power within their imagination was diminished by a scientific understanding and years of frustrating inaccessibility. As they entered the adult world, they no long experienced the wonder, enchantment and awe that once held them rapt. Giving up on the trip to the tower was a form of despair and a symbol of their missed opportunity for adventure, romantic fulfillment (Hiroki) and sated curiosity (Takuya). The film deals with plenty of other motifs too, although I hesitate to probe too deeply. Is the Miyazaki-esque lesson about keeping your promises at all costs that interesting? Should one bother to dig up the obvious phallic potential of the rising tower or the equally obvious connections between the atomic bomb and the climactic explosion? There seems to be less point in doing so the further it gets away from the scope of character development. One certainly can’t claim that the film does not offer up enough food for thought, however many would argue that the real meat of an anime is the action scenes and plot twists and those are quite utterly lacking. If you can’t tolerate drama and dialogue without a giant robot or a samurai showdown, this film probably won’t go over well with you. 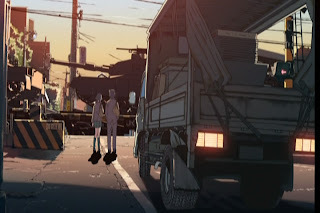 For me, it was a pleasant alternative to your typical anime clichés and compares well with “Wings of Honneamise” (1987), though somewhat below the ingenuity and originality of Satoshi Kon. If the film has a major flaw, I’d say it was the difficulty reconciling the tight-focus character drama and the wide-focus “big picture.” Shinkai keeps the camera far back to soak in the masterfully-painted settings (often leaving the subject matter completely behind) when he should be keeping us grounded to the characters and giving them enough facial detail to distinguish some expressive nuance. The titanic scale of the tower and the global conflict seems extraneous considering that they are hardly exploited as elements of tension, action or adventure. Then there is the matter of the dream worlds and parallel realities which are ultimately left unexplored. It seems to work on a thematic level by suggesting that the missed possibilities and alternatives of the past still hover invisibly around us, but little comes of it. Shinkai needed to make up his mind about whether he was making a film about emotions, identity and relationships or about society, technology and war. Sometimes he feels like he is going down one path, sometimes the other and the result is that neither gets the fullest possible treatment. Oh, and as always, avoid the dub. 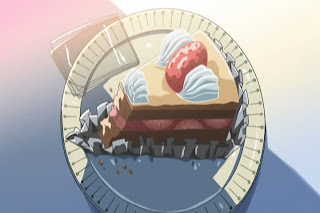 Although it isn’t terrible, it cakes on the cheesiness and melodrama a little bit thick. 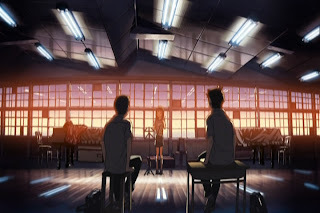 I just do not enjoy Makoto Shinkai. I thought Voices from a Distant Star was an overrated piece of CG noodling and amateurish 2D animation. That same burn turned me away from his feature film. I tried to give him another shot with 5cm per Second, but that was just as boring and dull as his first film. I suppose I can respect his command of CGI tomfoolery and love of scenery, but his discomfort with actually settling on and portraying characters I can actually give a damn about makes me throw up my hands in frustration. I don't understand the appeal at all. If you want a moving OVA on the effect of relativity, watch Gunbuster (this is more aimed at Voices from a Distant Star, of course). While on one hand, I wish Shinkai could match his visual talent with equally attention-grabbing contributions from characters, story and so on, I'm not entirely against his pacing and mood. It is something different from most animes. It aligns his work more with the slow, contemplative tone of trendy international art films and I think there is something to be explored there. It is either gutsy or stupid that he will lose out on most of the japanime demographic. I can take slow-paced artsy stuff. I think my enjoyment of Oshii can attest to that. But I just think Shinkai's been labeled an "it" boy undeservedly. 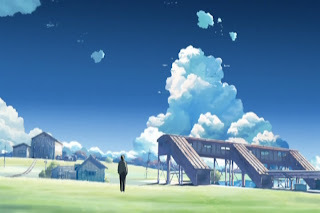 This discussion is a bit difficult because neither of us has seen the Shinkai films the other one is referring to, but "The Place Promised in Our Early Days" did not suffer too much from objective slowness, merely a casual unadorned pace that feels unhurried by anime standards. This discussion has inspired my next post, which will be a scale of percieved speed by director. Akira Kurosawa: Every movie feels like three hours, regardless of actual length. Though I love Kurosawa, I must completely agree. It doesn't help that many of his films are 3 hours. However, slow doesn't truly get slow until you've experienced Bela Tarr. Each of his individual shots feels 3 hours long. All 42 of his shots. I suggest we carry on this discussion on the pacing scale post. Feel free to suggest representative directors and where you think they fit on the continuum!